Social media marketing is a powerful platform for propagating commercial interests. It is no longer limited to being a medium for staying in touch with friends and family. Today it has become an easy way to share and receive information related to personal and professional matters. Most of the people have a fair idea about how social media works. But not many are aware of the pitfalls in social media marketing. Read on to know about the 10 mistakes to avoid in social media marketing and thereby increase your fan following. The top rule of being popular on the social media is to remember to post regularly. Regular posts help you to stay in touch with your audiences. In fact, it does not allow you to slip out of your target audience’s memory. Be prompt in providing them with relevant and interesting content and avoid bombarding them with promotions only. 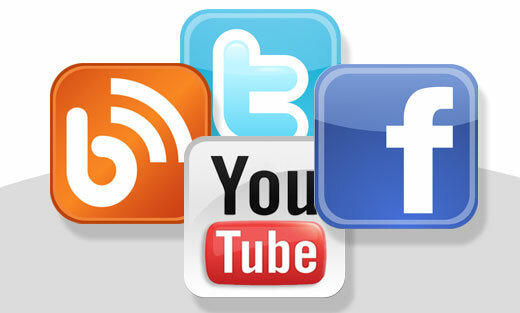 Social media marketing demands that you respond to your audience inquiries and concerns. Ignoring to respond to your audience is a big mistake. Customers always have an expectation of a response when they place a query. If you do not respond it will reflect that you do not care about them. As customers have low tolerance level, it is never a good idea to put them on hold. Be active in responding to your social media followers’ comments, complaints, messages and queries. It will help you to build a stronger connection with your audience. Everybody is trying to derive benefit from the social media platform. In order to stand out in the crowd you need to be unique or offer your products or services in a different manner. The idea is to grab the attention of your followers by any means or fall behind in the race. Think of going beyond the normal while marketing on the social media. Try to make your followers laugh, shock them or you can even surprise them. But do not allow them to be indifferent. Motivate them to ask questions and astonish them with your unique answers or offerings. Social media marketing is an open platform where everyone is trying to win the race by various means. Try and keep yourself updated about what your competitors are doing to keep themselves in the limelight. Identify what strategies they are applying and which of those strategies are being successful. Do not copy their module blindly. Get inspired and try to create an original idea that will be even more popular with your customers or draw in new followers. Most people cannot take criticism or negative feedback lightly. Social media is a field where people have the advantage of expressing their views anonymously. Hence the feedback can sometimes be severely negative. Instead of allowing the negativity to affect you, try to accept it in a positive manner. Concentrate on constructive criticism and take negative feedback in a light manner. Try to see the positivity that you can derive from constructive criticism and work on that to increase your business opportunities. Remember the old adage, “Too much of anything is bad.” The same holds true for social media marketing. Promoting too much or getting too involved in the social media platform can actually harm your business. Stick to promoting at regular intervals to satiate the interest of your followers and not slip out of their memory. Try to be innovative and engage them in interesting conversation. Identify what appeals best to your followers and improve on that aspect. Social media marketing is one of the aspects of marketing your business. Remember that it is not the only aspect. Pay attention to other aspects of marketing, such as SEO, PR, advertising, customer experience, etc. Such efforts will allow your online followers to realize that you are serious about promoting your business. They will know that you do not depend on the social media window alone for promotions. The effort will be highly beneficial for your business in the long run. Try to find out what kind of social network is useful for your business. You may not have the time or the enthusiasm to keep up with all the new social media platforms being frequently introduced in the market. Figure out the platforms on which your target audience remains active for the maximum time. Stay away from wasting time on each and every media platform. Select a few platforms which you will be able to manage delicately. Set a firm content strategy for each chosen platform before you start your marketing endeavor. A mistake to avoid in social media marketing is to buy followers. It is a risky proposition that can jeopardize your account. Most social media pages are identifying such unnatural practices and taking action against them. Avoid such practices at all costs. The above 10 social media mistakes can take your business for a toss. Avoiding these 10 mistakes in social media marketing will put your business on the right track of promotion and popularity. If you still have any doubt then contact us for further tips and ideas.